While many mold remediation companies work in the Atlanta, Georgia, area, the company that you hire should meet several important criteria. First, choose a company that works solely in treating mold. Many companies offer mold removal services on the side but focus mainly on their primary line of work, such as damage restoration. By partnering with a specialist who works day in and day out identifying, removing, and preventing mold growth, you’ll ensure the best possible results. For your convenience, hire a full-service mold removal contractor, who will see the process through from beginning to end. They will perform your mold inspection, remediation, and prevention, as well as repairing any part of your building in Atlanta, GA, that mold has damaged, such as baseboards and drywall. 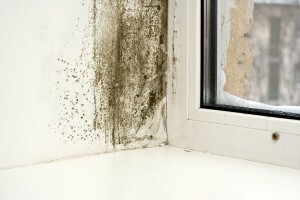 To avoid any potential conflict of interest, this professional should have a third-party specialist come test indoor air samples to confirm that you require mold remediation services, unless they’ve identified clear visual indications of mold growth. After they’ve completed any work in a space that people spend time in, such as in a living area of a home or a workplace, the company should have the air indoors tested again to prove that the space is safe for inhabitants. To partner with a mold remediation specialist that meets these criteria, look to Abatement Solutions, Inc. We serve realtors, residential and commercial property owners, landlords, and many other clients in Atlanta, GA. Contact Abatement Solutions today for a single-source solution to your mold removal needs.